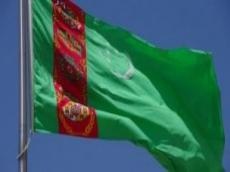 The meeting of the People's Council, which is the supreme legislative body of Turkmenistan, will be held on September 24-25, 2018, the Turkmen government said in a statement. The event will be held on the eve of Independence Day (September 27). In early October of 2017, a decision was made on the transformation and renaming of the Council of Elders into the People's Council. Prior to that, the Council of Elders played the role of a purely advisory body. At the same time, in the period from 1992 to 2008, the People's Council was the highest representative body of Turkmenistan.